Can you believe it’s 2014 already? I’m feeling quite a bit worse for wear today after one too many glasses of champagne yesterday, but I’m extremely excited about this year. 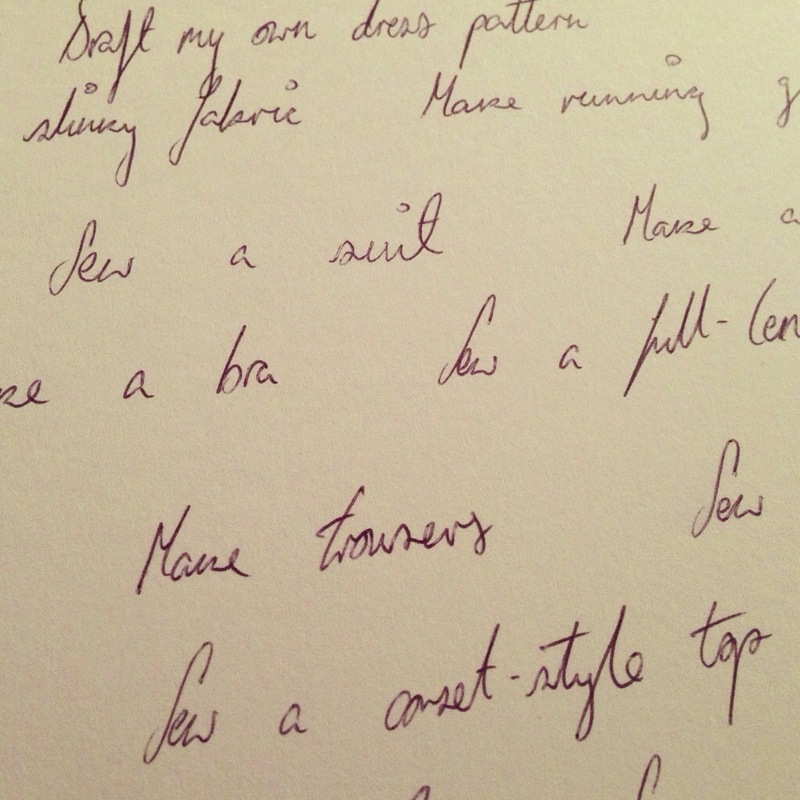 2013 was a bit of a mixed bag in all – and when it comes to sewing, it slowed down a little by the end. Earlier this year I popped a list of all those projects I’ve passed up into a fancy jar, which currently gathers dust on my bedside table. 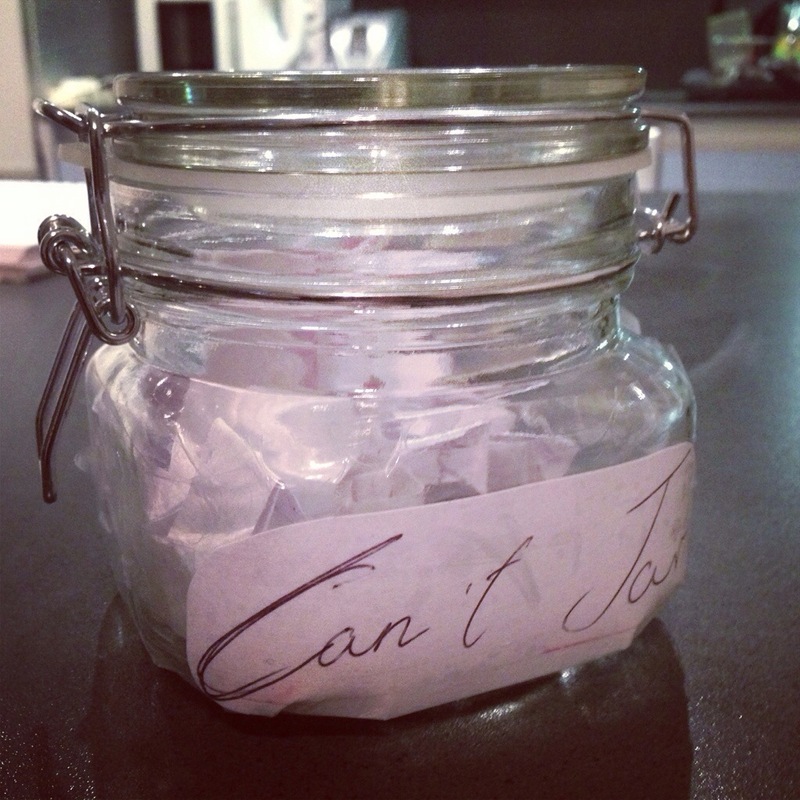 For each month of 2014, I’ll take a Can’t out of the jar and get it done, once and for all. Some things, like a coat for example, will take up the whole month with just one project while others can comprise of lots of different ones. I want to push the boundaries of what I can sew by getting out of my comfort zone. Should be fun! This month, it’s all about sequins. I’ve never sewn sequinned embellishments and I’ve never used sequin fabric – so this could either be an awesome new skill or a recipe for disaster. I’ll be posting some inspiration for sequinned projects this month – hopefully ones which can travel, as I’ll be moving to London in a week and I’ll need something I can stitch on the move! And of course, if you’re stuck for a New Year’s resolution – you can always take on the Seamless Pledge! 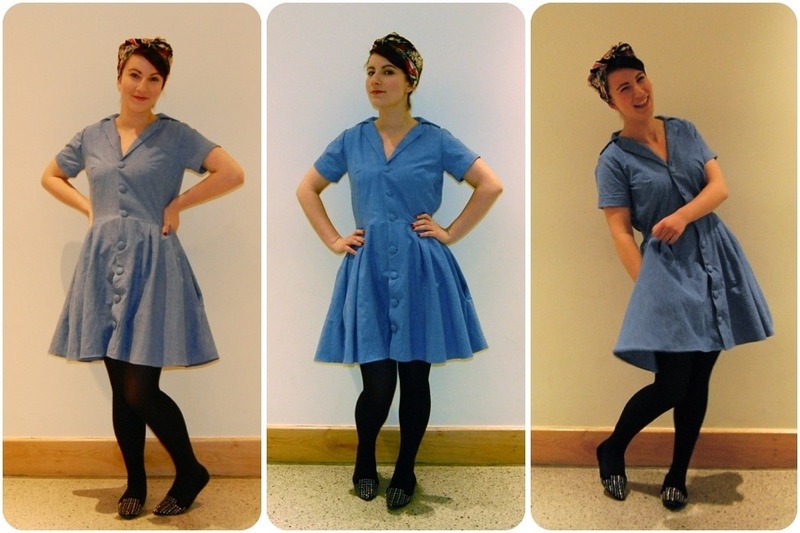 Happy days – I managed to finish my Sew For Victory wartime-inspired dress! 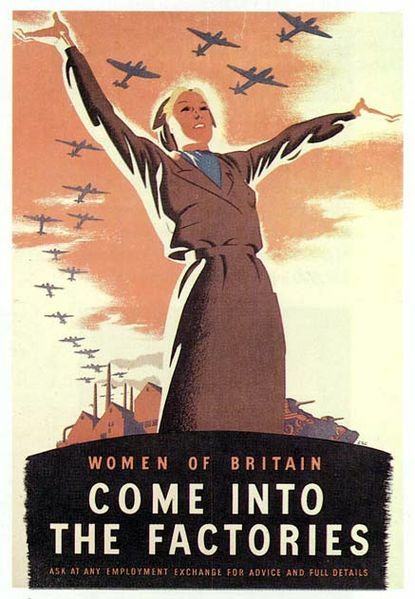 A little more than a week ago, I told you about my last-minute change for this project, opting to take inspiration from women working in WW2 rather than the post-war pattern I had originally planned on making. 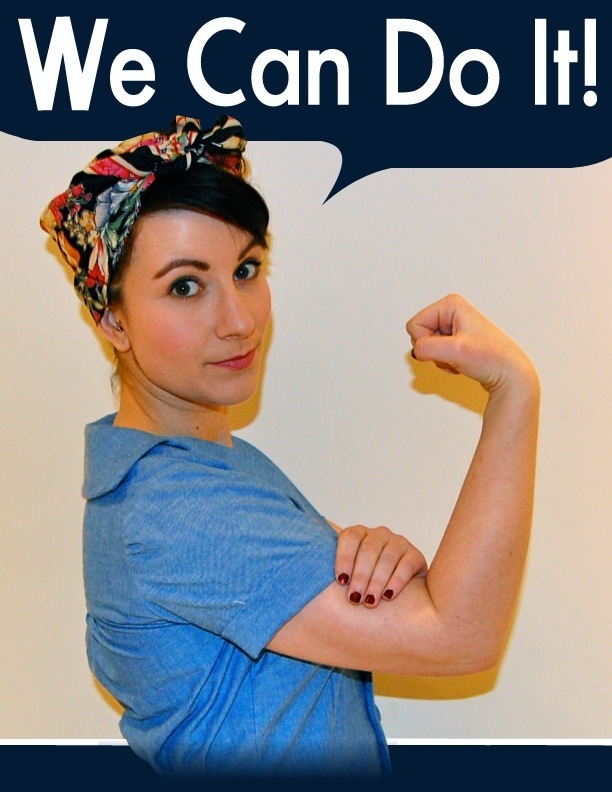 I couldn’t resist getting my friend Martha, who designed this blog’s header and logo, to make me a Rosie the Riveter-style poster as well as taking some snaps of the dress for me. She’s a talented cookie, that one! As you may have already guessed, I used yet another pattern from Gertie’s New Book For Better Sewing. Man, oh man am I in love with this book. The patterns are beautiful and the instructions even more so. Due to lack of time, I just winged it with this one and went muslin-free. Daunting! But it’s turned out quite well. 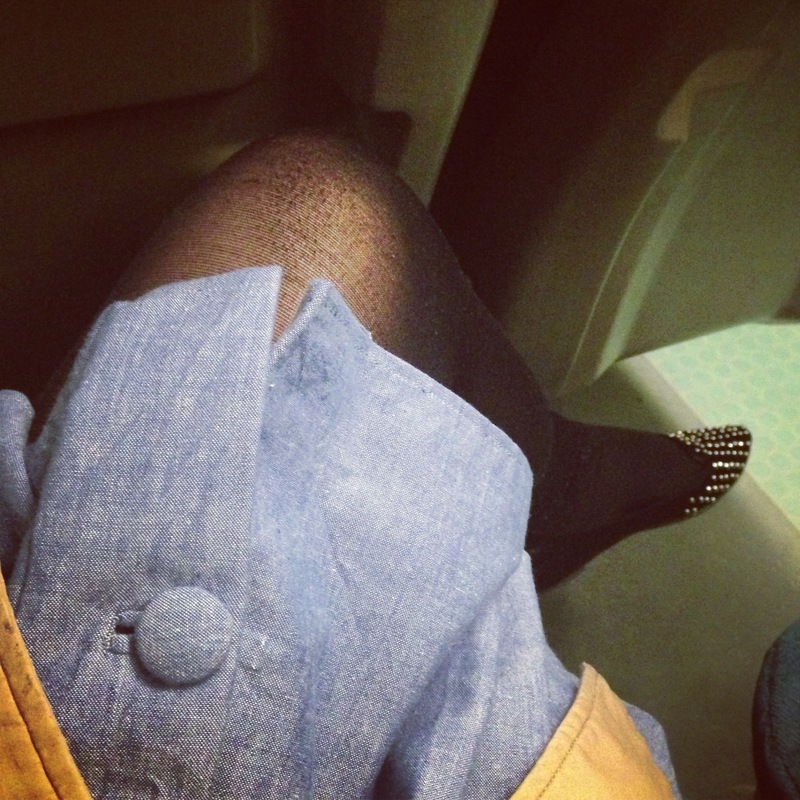 The only major alteration I made was the length – I lopped off a whopping eight inches from the skirt. EIGHT INCHES. In case you hadn’t guessed, I am pretty much a hobbit. Gertie must be ridiculously tall. I crave her power. The only other adjustment made was to the sleeves. Originally, the puffiness looked absolutely ridiculous on me, so I fudged it a bit and managed to make them a bit more conservative. I think I needed to take a bit off at the top of the armhole because the shoulders were a little wide for me. Everything else worked like a dream. The elastic shirring at the back makes the dress fit beautifully without making you feel constricted. Thumbs up on the design. Bound buttonholes! ALL SEVEN OF THEM! One’s a little bit wonky but I don’t actually care because I finally managed to do more than one vaguely presentable buttonhole. There is something rather therapeutic yet distinctly horrifying about making bound buttonholes, but it’s the best feeling ever when it all comes together. In all, not half bad considering I only started a little more than a week ago. 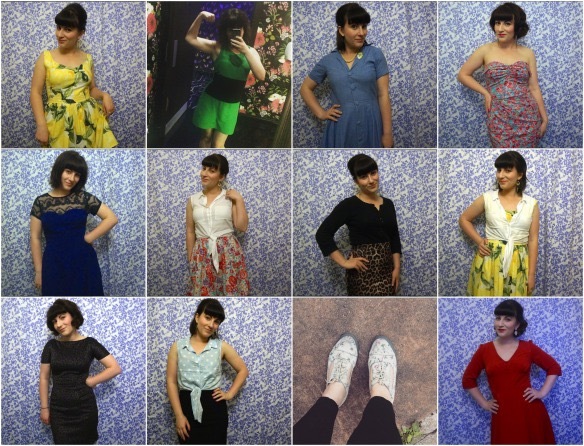 Now I can look forward to perusing all of the other lovely creations on the Sew for Victory Flickr group. Exciting! It may not feel like Spring what with all this BLOODY SNOW but there’s nothing like a sewing challenge or two to pep you up for some warmer months. 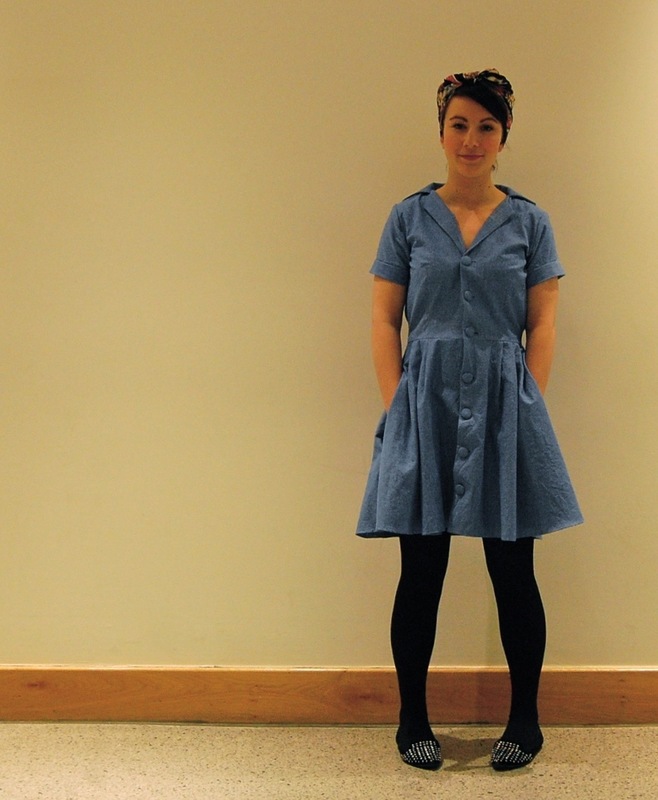 The first comes courtesy of the lovely Rochelle of Lucky Lucille, who has challenged the blogosphere to a trip back to the ’40s – when fabric was scarce, fashion took a back seat to the war effort and everyone was encouraged to make do and mend. She’s already provided a plethora of inspiration to get us going over on her blog since the challenge was announced, which means I should really get my skates on! I have a pattern picked out but have yet to actually get cracking on a muslin or even choosing fabric, erk! I was in two minds about this challenge – with dreams of making a pair of high-waisted trousers and pairing it up with the Mathilde blouse from Tilly and the Buttons, which would have been more 40s-inspired than an accurate reproduction. 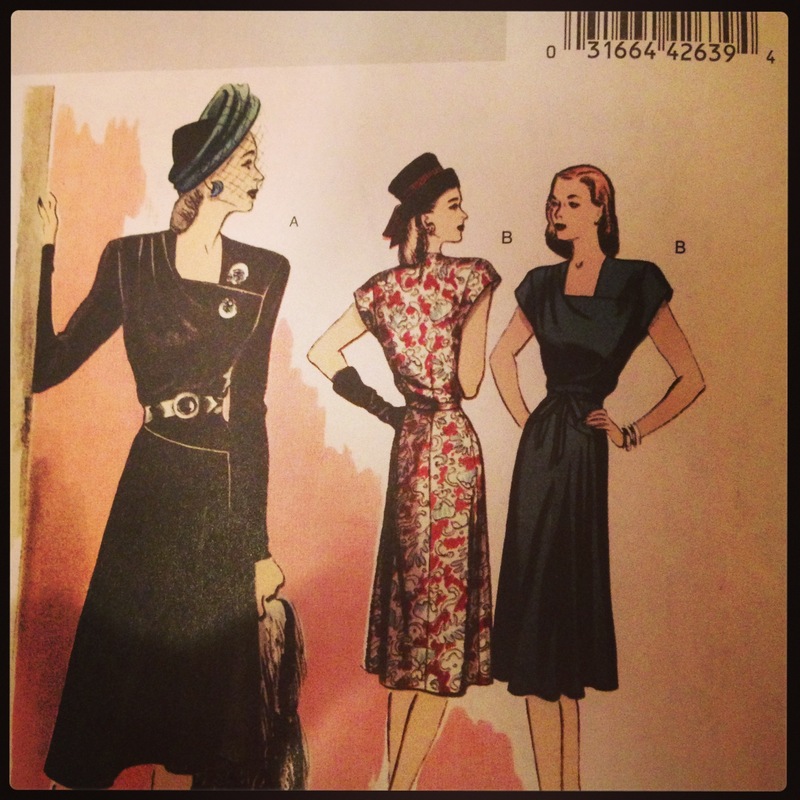 But then I found this great Butterick repro pattern (Butterick B5281) from 1946 which has remained in my sewing box unmade for a number of years now. The pattern looks absolutely beautiful on the envelope, but then I saw Butterick’s version, which just looks AWFUL. I’m starting to worry a little bit, even more so because i haven’t started work on it at all! Being a post-war pattern, I feel I can plump for a brighter colour like purple, but I may still keep it to a darker shade. At this stage, anything could happen! 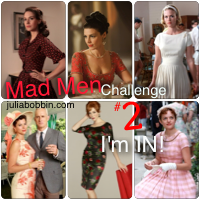 Secondly, we’ve got Julia’s Mad Men challenge. How did I miss this last year?! 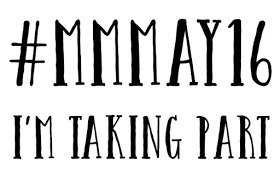 Those of you who have signed up for the super-fun-cool project for Seamless – THANK YOU! I’ll be sending out the top-secret instructions ASAP. There’s still time to register your interest – head to the post here to find out a bit more.